Hello! 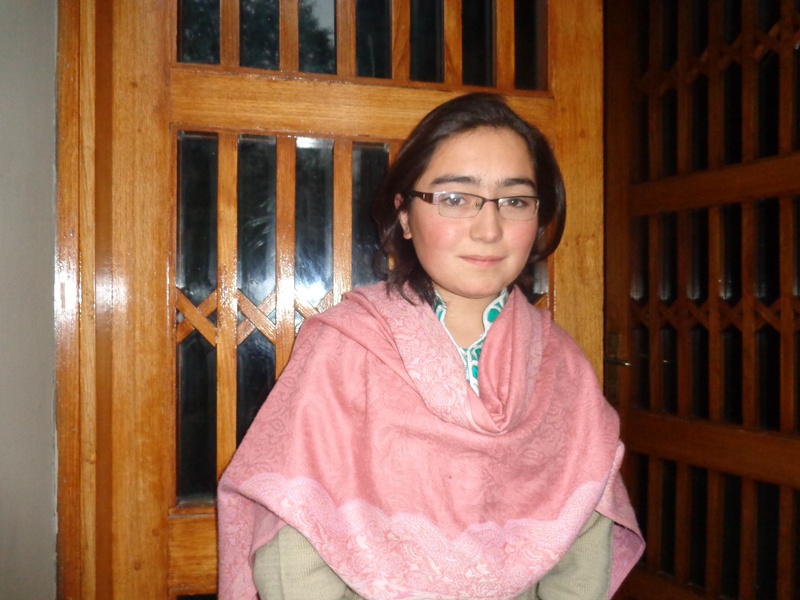 I am Shanila Parveen, and belong to a very small village known as Ghulkin in Gojal Hunza. I have been passionate about my studies since childhood and have been working hard to achieve my goals in life. I always dreamed about making a difference in my society and knew it could be done through traveling on the path that’s less traveled. I did not want to pursue traditional professions for girls, like nursing and teaching, but something challenging. I decided to become an engineer. I studied hard and was admitted to Aga Khan Higher Secondary School in Hunza. Despite studying in a renowned school in the area, I was not able to completely focus on my studies. My parents were supportive and encouraging of my own and my siblings’ studies, but educating all their children in good institutions in this demanding world is not a piece of cake. Being part of a family with only one earner and six dependents is not an easy task. The realization that my expenses are causing financial troubles on my family made me sick inside. I knew that I could not help my family unless I left school, and my feeling of guilt became stronger and stronger. I could not share my feelings with anyone and always prayed. In my first year of college, I received an Iqra Fund scholarship. From then on, my one and only goal was to focus on my studies. Not only was I free from all my financial worries, but also happy. Today, I am studying Electrical Engineering at Lahore University of Management Sciences - Lahore (LUMS), one of the most prestigious institutions in Pakistan. I am proud to be an Iqra Scholar who kept her promise of making the best use of the opportunity and their investment in my education. Iqra Fund not only help pay for my educational expenses, but also helped me overcome the challenges I was facing in my studies or social life. When I look back on my days as an Iqra Fund Scholar, I would love to see Iqra Fund continuing their work and making a difference in the people’s lives.